(1) These General Terms & Conditions of Sale (hereinafter: T&Cs) apply to the website www.mypostcard.com and our mobile applications MyPostcard apps (hereinafter: the service) and to contracts concluded between us. and you as our customer. The T&Cs apply irrespective of whether you are a consumer, entrepreneur or merchant. (2) All agreements made between you and us in connection with the use of the portal are based specifically on these T&Cs, our written order confirmation and our declaration of acceptance. (3) The version of the T&Cs that applies at the time the contract is concluded is definitive. (1) The presentation and advertising of postcards on our service does not represent a binding offer to conclude a contract. (2) On submitting an order for a MyPostcard postcard via our service by clicking the button "Send and pay", you are submitting a legally binding order. (3) A contract only comes about when we accept your order with a declaration of acceptance or by sending the postcard ordered. (4) Orders for deliveries of the postcard worldwide can only be considered from an amount of 1,99 €. (5) Should delivery of the postcard you order not be possible, we will not send a declaration of acceptance. In this case, no contract comes about. We will inform you without delay and any payments received will be returned immediately. 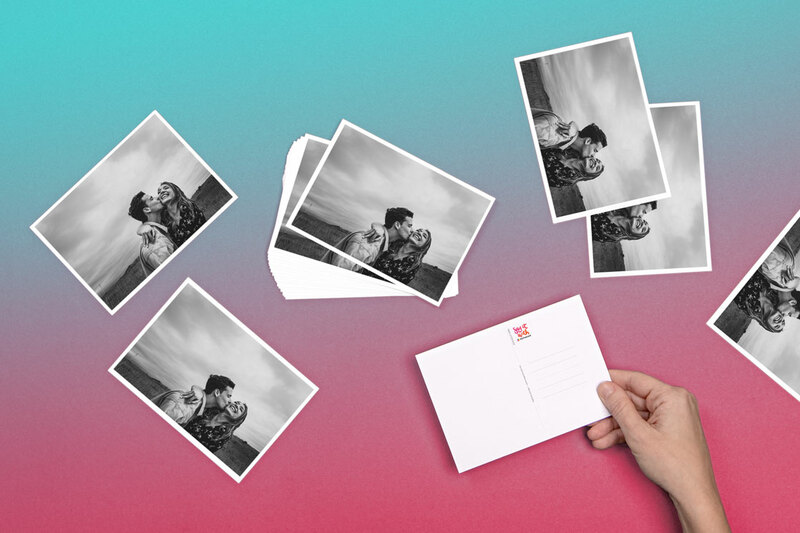 (1) We print the front of the postcards with designs that you add yourself to our service (individual postcard). The back has a message, the content of which you are free to choose. 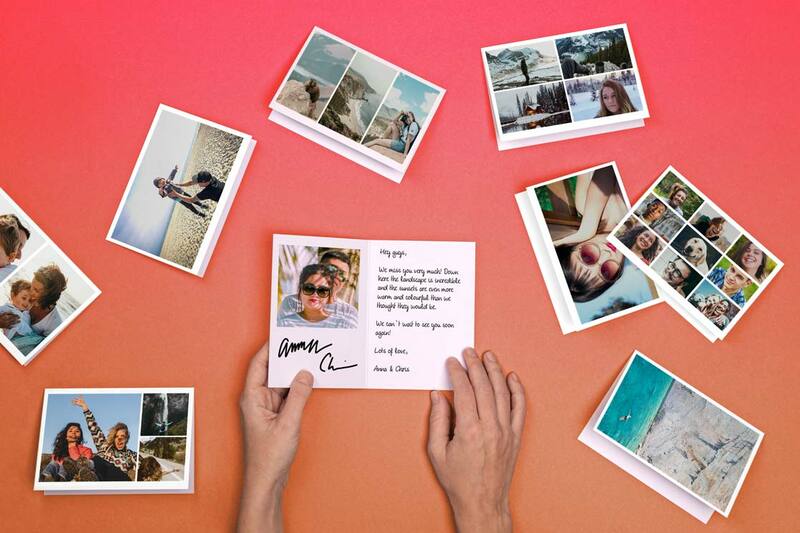 Our postcards are therefore goods that are made to meet customer specifications. In accordance with § 312d para. 4 no. 1 of the German Civil Code, you therefore have no right of withdrawal. (1) We are entitled to make part deliveries, insofar as this is reasonable for you. (2) The delivery period is approximately 1-2 working days within Germany, approximately 3-5 working days worldwide, unless otherwise agreed. It begins when the contract is concluded. (3) In the case of orders from customers whose place of residence or business is abroad or if there is legitimate reason to suspect that there is a risk of default on payment, we reserve the right to deliver only on receipt of the purchase price plus cost of postage (requirement of advance payment). If we wish to apply the requirement of advance payment, we will notify you immediately. In this case, the delivery period begins on payment of the purchase price and cost of postage. (1) All price information on our service refers to gross prices including statutory tax and the cost of postage due. (2) cost of postage is included in the prices on our service. The total price including tax and postage/shipping costs is also displayed on the order screen before you place your order. (1) The purchase price including the cost of postage is due immediately on placement of the order. (2) At your discretion, you can transfer the purchase price and the cost of postage to the account specified on our service, provide us with a direct debit mandate or pay by EC/Maestro or credit card or by PayPal. In the case of payment by direct debit mandate or by EC/Maestro or credit card, we will debit your account at the earliest at the time specified in para. 1. A direct debit mandate applies to subsequent orders until it is cancelled. (3) You are not entitled to offset against our claims unless your counterclaims are legally established or uncontested. You are also entitled to offset against our claims if you are pursuing complaints or counterclaims arising from the same contract. (4) As a customer you may only exercise a right of retention if your counterclaim is based on the same contract. (5) By choosing the “SEPA direct debit” payment option, I grant the recipient of payment the right to withdraw payments from my account by using direct debit. At the same time, I authorize my bank to redeem the direct debit notes that the recipient of payment has booked to my account. Please note: I can request the return of the charged amount within a period of eight weeks from the charge date. The terms and conditions which I have agreed with my bank apply. The item supplied remains in our possession until full payment of the purchase price. (1) We accept liability for items supplied in accordance with applicable statutory regulations. The limitation period for statutory complaints is two years and begins when the goods are sent. 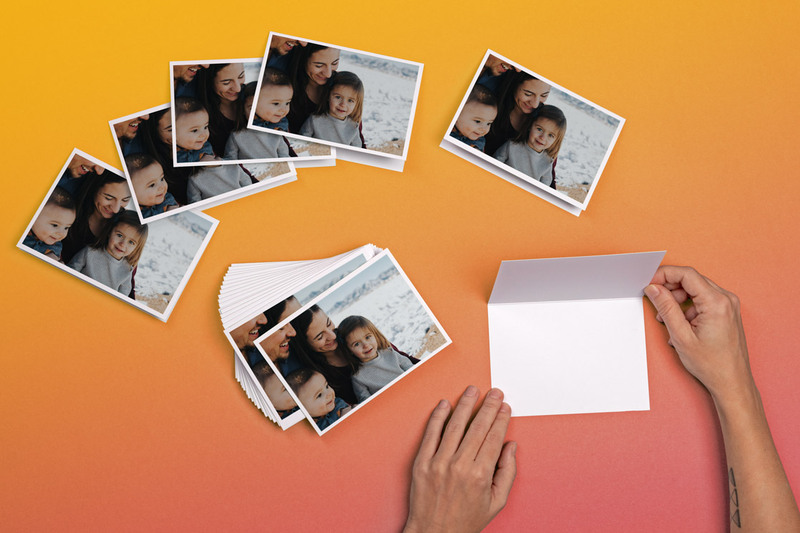 (2) The agent expressly provides no guarantee of the quality of the photos transferred by the customer for the production of the postcard. The customer is responsible for the quality of the photo, in particular for the resolution of the pixels in colour images and he must check this before placing an order for which there is a charge. (3) MyPostcard.com GmbH übernimmt ebenfalls keine Haftung für evtl. farbliche Differenzen gegenüber der Originaldatei und der vom Auftragnehmer ausgedruckten Postkarte. 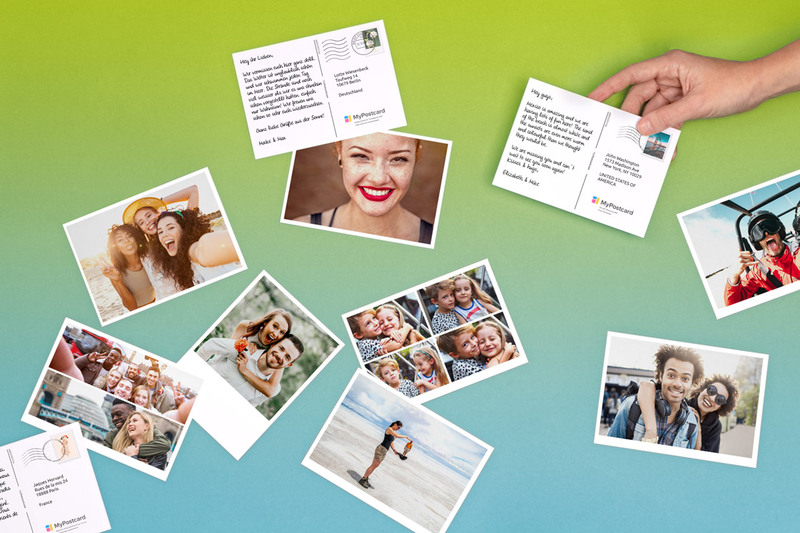 (4) MyPostcard.com GmbH also cannot accept liability for any colour differences between the original file and the postcard printed out by the agent. (4) We cannot accept liability for any damage that occurs in transit. (1) We cover you in all cases of contractual and non-contractual liability in the event of malicious intent and gross negligence in accordance with the statutory provisions for compensation or refund of futile expenditure. (2) In other cases we accept liability - unless otherwise stipulated in par. 3 - only in the event of the breach of a contractual obligation, the fulfilment of which makes possible the proper execution of the contract in the first place and on the observance of which you can normally rely as a customer (so-called cardinal obligations), limited to compensation for foreseeable and typical damage. In all other cases our liability is excluded, with the exception of the regulation in para. 3. (3) Our liability for damages resulting from loss of life, physical injury or damage to health and under the German Product Liability Act remains unaffected by the preceding limitations of liability and exclusions. You guarantee that the rights of third parties are not breached by the images you upload and that you indemnify us against all claims that the holders of such rights pursue against us on the basis of a breach of those rights by you. The same applies to texts or other media used by you. 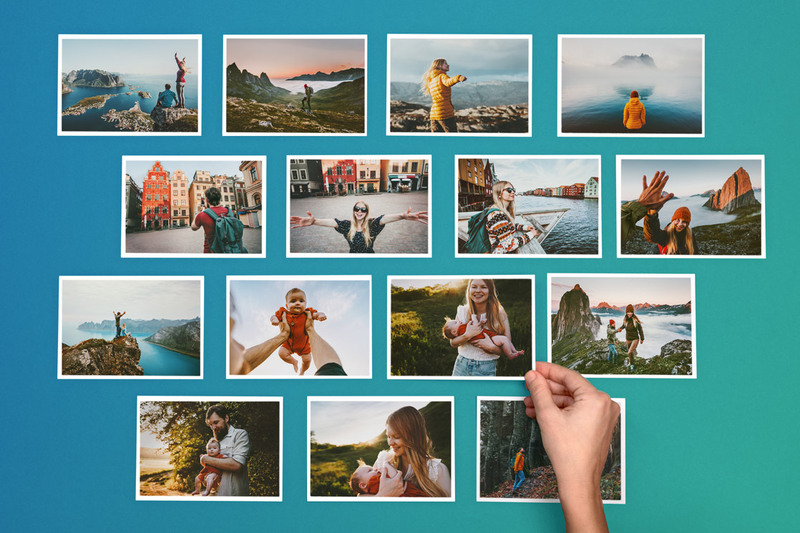 The customer assigns to the agent the right to edit his data for processing and to ensure the quality of the postcard service, to publish it on the postcard requested and to pass it on to a postal service company of its choice, commissioned with its delivery. 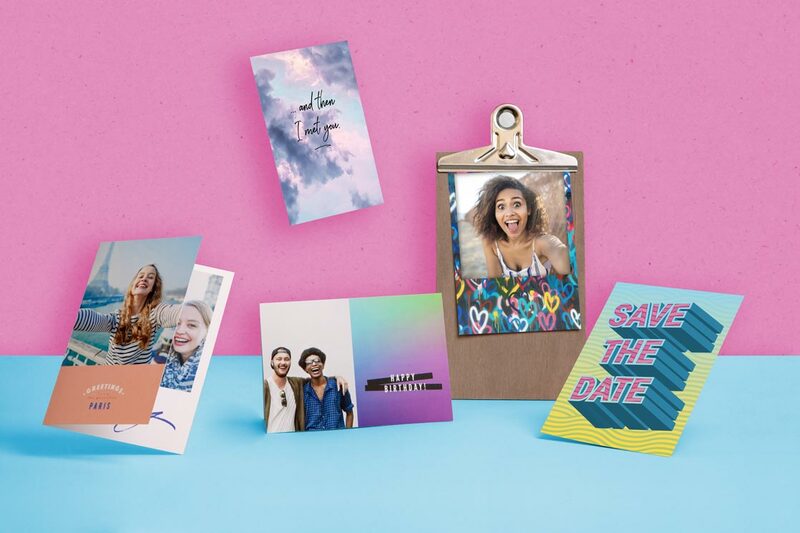 We reserve the right not to produce and not to send postcards with content such as racist, obscene and discriminatory images and postcards that, in our view, breach the rights of third parties or risk doing so. In this case, we will notify you of our refusal to process the postcard and refund the payments made to us in the meantime. (1) The law of the Federal Republic of Germany applies, with the exclusion of the UN Convention on the International Sales of Goods. If you place an order as a consumer and at the time of your order your normal place of residence is in another country, the application of the compulsory legal regulations of that country remains unaffected by the choice of legal system in clause 1. (2) If you are a merchant and your registered office is in Germany at the time of ordering, our registered office is the exclusive place of jurisdiction. Otherwise, the applicable statutory provisions apply to local and international jurisdiction.